The Komondor is a long sheepdog that hails from Hungary. The dog is off white in color and has corded coat. The dog has a rich history of guarding livestock and property. 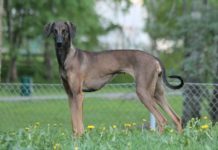 This breed has been declared as Hungary national treasure which needs to be protected and promoted. 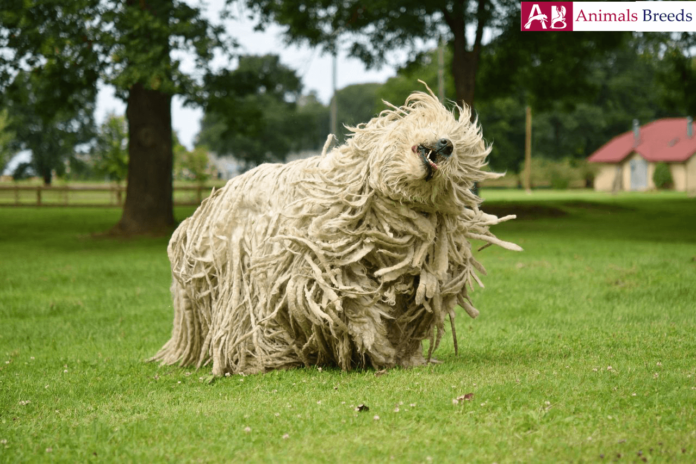 It is also called as “mop dog” because of its unusual long bangs of hair which seems as if it was developed to mop floor. This dog is not for everyone. Owning this dog is challenging and responsible task. Because of their high protective instincts they might attack people and can make your life troublesome. Exposing him to lots of people and animals can keep its guarding instincts in control. A well trained Komondor is a treat to family. 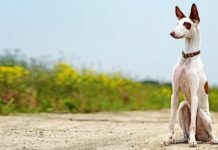 If you already have any other dog, it is better to not opt for this breed because they are possessive and can’t stand the sight of any other dog inside home. Surprisingly, the dog is peaceful with livestock and cats. The breed has a long history of working as a guard dog. 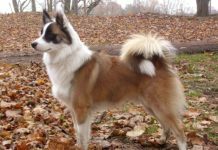 Experts believe that the dog is a descendant of Russian Owtcharka which is also a sheepdog. 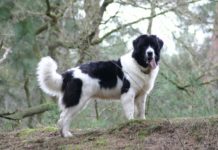 People use this dog for protection of sheep and livestock. Their coat resembles like that of sheep and predators don’t see them until it’s too late. The dog is still used as guard dog for its fierce protective instincts. Today many people domesticate this breed for companionship. Price of the dog is $800-$1200. Komondor is a large sized dog. Its coat resembles like a mop. Beneath its long braids lies muscular built up balanced body. The dog’s unique coat helps it to blend among the sheep and this protects the dog from getting caught by predators. The face of the dog is wide and muzzle is well developed. It has big expressive eyes of black color. Ears of the dog is medium sized and of pendant shape. 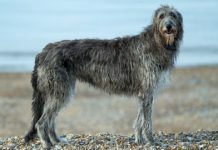 The dog’s body is longer than tall. The dog has a leveled topline which is strong. The dog has light bones which helps the dog in giving quick reflexes. 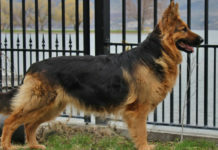 Ideal height of the male breed is 71–76 cm and female breed is 64–69 cm. Weight of the male is 50 – 60 kg and female should be 40 – 50 kg. 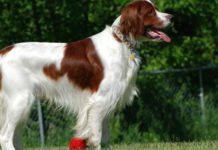 This breed has a very unique white coat. Its body-from head to toe is profusely covered with white braids. 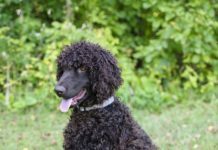 When the dog is at puppy stage it sports soft curls but as it matures, its hair transforms to long cords like strands of mop. 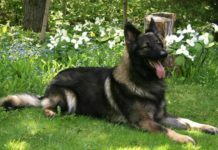 Personality – The dog has a dynamic personality. Like most sheepdogs, it remains calm and composed but once it suspects danger, it transforms into a fearless and fierce protector. Inside home you will find them relaxing and having a steady mind but once they are outside with their family, they wouldn’t mind romping and jumping. They are immensely affectionate to their family members and kids. However this breed will never trust a stranger and are always suspicious of them. Despite their bulky coat they have quick reflexes and are strong enough to knock their prey down. 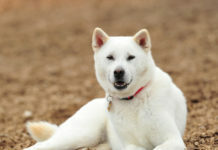 Behavior – Puppies are playful but as they grow into mature dog they become calm and dignified. 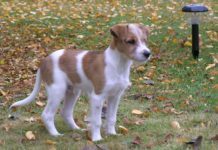 The dog is typically suited for countryside environment where there is farm or yard with no neighbor close to your vicinity. It has loud and impressive bark that can make anyone crazy if it barks incessantly. They are devoted to their family selflessly. They are protective of family children and wary of neighbor’s kids. 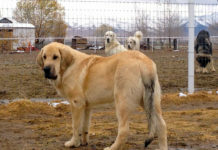 It is aggressive with other dog but peaceful with livestock. 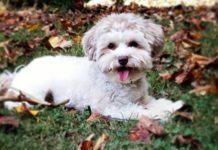 Activities requirements – It is not extremely active dog but it do requires mild exercise like running in the field or playing with the kids. 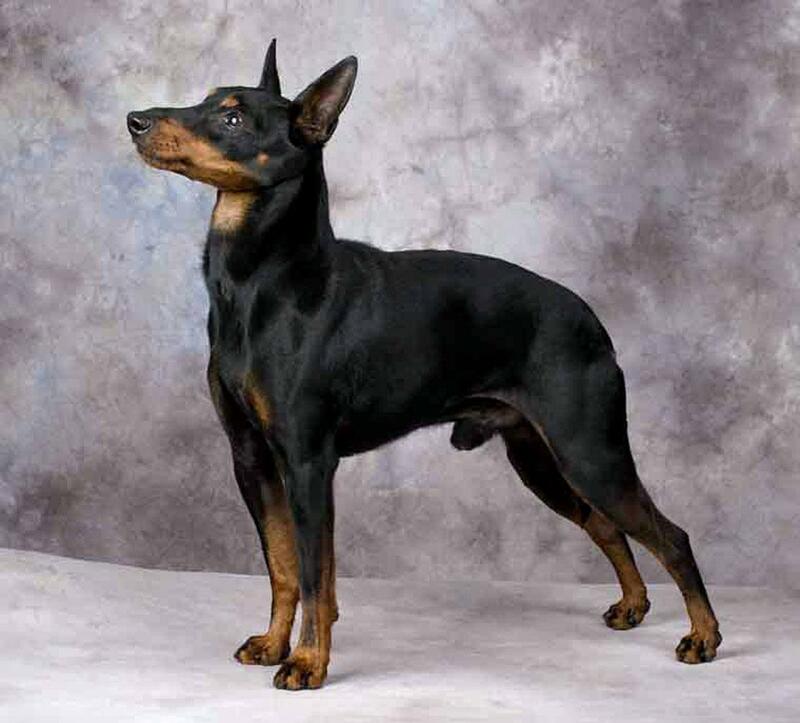 It is a serious working dog with tremendous strength. It loves to pull heavy objects. A half an hour exercise is sufficient to keep them healthy and happy. Training – The dog trusts its own instincts rather than others unless it has a human who has established supremacy over the dog. 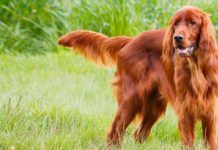 You need to provide it ongoing socialization and obedience training to have a sane pet dog. A well trained dog makes great addition to family. Beef, chicken, horse, goose, turkey, mutton, lamb and fish fillet is recommended and few vegetables like tomatoes, spinach and lettuce. Bones should also be included in their so that they can have good oral health. 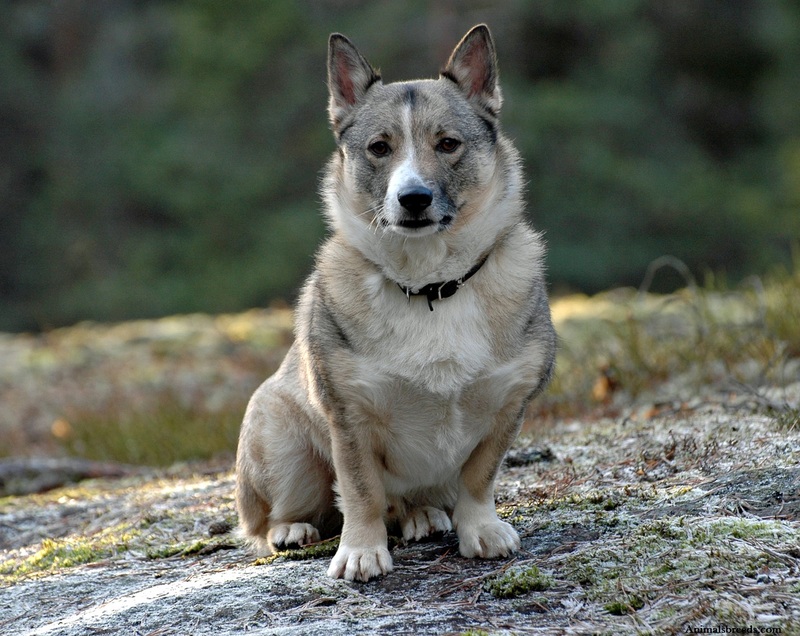 The dog lives up to 10 – 12 years. It is not a hypoallergenic breed. 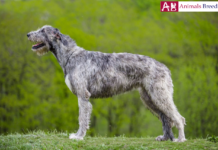 Breeds health issues may include- cataracts, hip dysplasia, and bloat and patellar luxation. The dog’s coat requires intensive care to keep it in good shape. Though its coat shouldn’t be brushed but you should wipe its coat with warm water to make it mats and debris free. The dog takes 1 to 2 years to develop chords but once it started developing cords you need to separate each chords from one another so that it doesn’t get tangled. Bathing the dog is a hectic process. It takes full day to dry its hair. You can also trim its hair so that grooming becomes easy. Brush its teeth and clean its ear on regular basis. 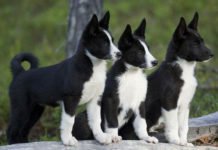 The breed thrives in an open space like on farms or yard. It prefers cool climate. This dog is too much for an average household having cozy apartment. The exercise needs of the dog are mild and not so demanding. It is not suitable for apartment living.